With this, I was just tinkering around and playing with different effects and colors and stuff like that. In the end, I thought it looked kinda like a gateway. Since it's kinda close to halloween, I thought I'd go for something darker, yet still colorful ^^ So this is the result of my efforts... 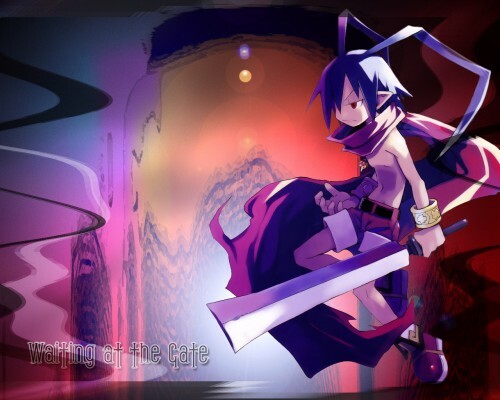 The character from Disgaea was the closest one I could find in my gallery that had that mm... "energy" that matched. At least, I thought so! nice walli, and great bg, thx 4 sharing.